Price based on home type and floor plan shown and on builder?s preferred siting. 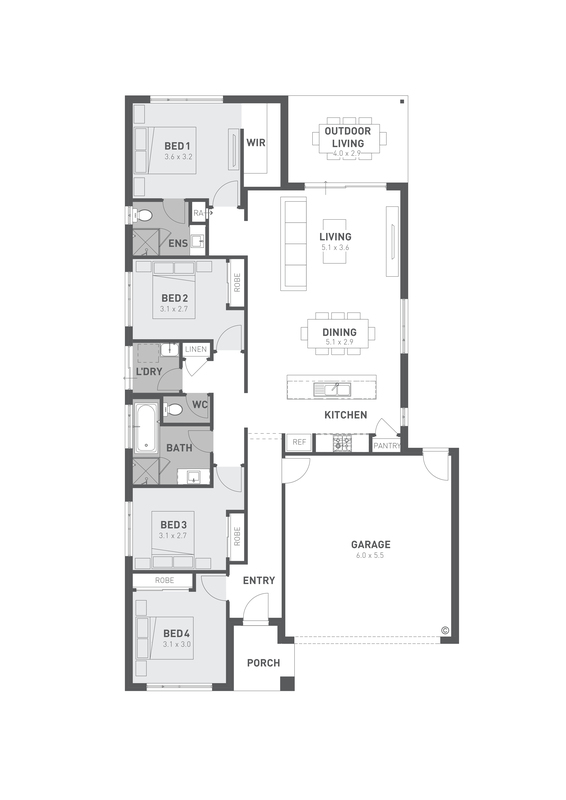 Floor plan depicts a traditional facade, modern facade shown and included in price. Image used is an artist impression for illustrative purposes only and may show decorative items not included in the price shown including path, fencing, landscaping, coach lights and furnishings. ?Fixed? pricing means that, subject to the terms of this disclaimer and any owner requested changes, the price advertised will be the price contained in the building contract entered into and this price will not change other than in accordance with the building contract. The price is based on developer supplied engineering plans and plans of subdivision and final pricing may vary if actual site conditions differ to those shown in these developer supplied documents Block and building dimensions may vary from the illustration and the details shown. For more information on the pricing and specification of this home please contact a New Homes Consultant. ABN Group Victoria has permission of the owner of the land to advertise the land as part of the price specified. The price does not include transfer duty, settlement costs, community infrastructure levies imposed or any other fees or disbursements associated with the settlement of the land.